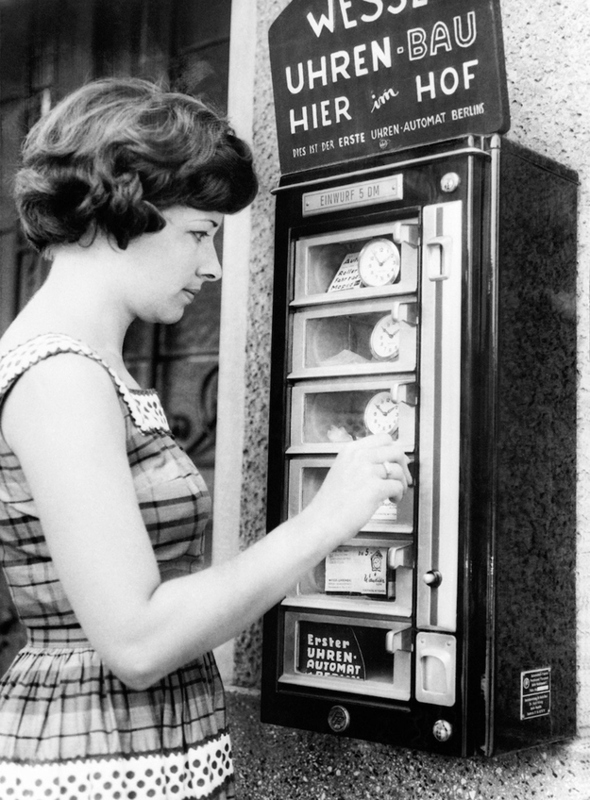 15 Vending Machines From The 1960’s You Wont Believe Are Real! Perhaps it was all the free love and burst of groovy drugs that made people come up with these creations, but feast your eyes on some of the wildest, craziest, and most amazing vending machines the 1960’s had to offer. Totally groovy baby! The jokes kind of write themselves for this one. Vending machines stocked with clocks could be found on German street corners. No one can say precision and timelines is not an important national quality.